Joseph Nicholas "Joe" DePietro was born June 10, 1914. 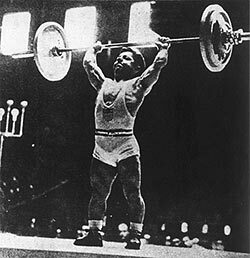 He was an American weightlifter from Paterson, New Jersey, both World champion and Olympic champion. He won a gold medal at the 1948 Summer Olympics in London. Launceston Elliot was born on the ninth of June, 1874, in India, where his father was a magistrate. Looking very much like Sandow, although much larger, Launceston Elliot was one of the most respected figures in the world of strength at the turn of the century when this form of entertainment was at its height. 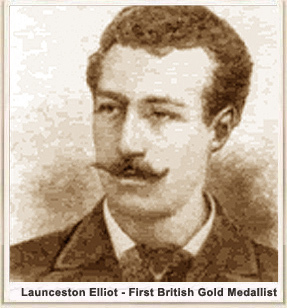 Elliot won for Britain the first Olympic gold medal for weightlifting. The scene was Athens, Greece in April 1896 when Baron Pierre de Coubertin revived the Olympic Games. 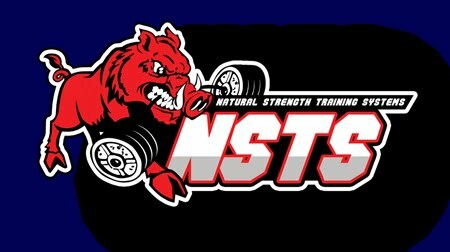 Weightlifting was supervised by Crown Prince George of Greece and Elliot did a one hand lift of 71 kilos (156 1/2 pounds) to win that event.